Here's an easy one . What do you get when you combine a crooked Democrat politician in Hawaii with a sneaky local news media with a leftward bias really close to election time?? The answer is . . . the exact same coordinated and politically-motivated smear campaign against a local Republican candidate that you're now quite used to seeing orchestrated by mainland news networks in the presidential race. 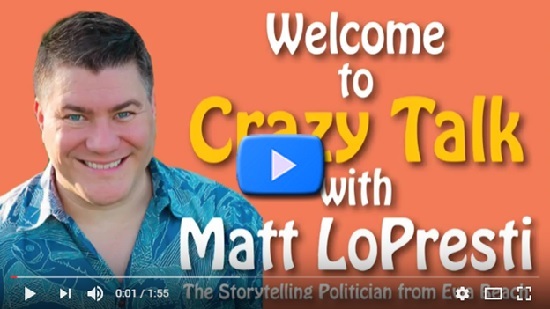 The 'crooked Democrat' in question is far-left freshman state house member Matt LoPresti of Ewa Beach. 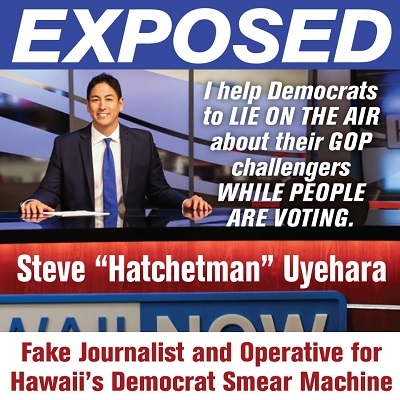 The 'biased media' is comprised of Hawaii News Now (HNN) anchor Steve "Hatchetman" Uyehara, his boss and HNN news director (former editor of the Democrat-loving Honolulu BirdCageLiner newspaper) Mark Platte, and Platte's boss (and big money donor to Democrat Kirk Caldwell) Rick Blangiardi, the general manager of HNN. Last Friday, just as ballots arrived in mailboxes, HNN teamed up with Democrat LoPresti for a carefully-timed, live on TV, premeditated smearing of the high-integrity Republican candidate, Bryan Jeremiah. So WHAT EXACTLY does HNN's Uyehara eagerly enable LoPresti to tell tens of thousands of voters live on TV ??? "A judge granted a temporary restraining order against (Jeremiah) and hopefully it doesn't happen again ," said LoPresti. Did HNN challenge or question or correct or clarify this 'matter-of-fact' statement at the top of the interview? Of course not . . . even though HNN is very familiar with the court ruling AGAINST LoPresti (they first reported it months earlier). They let him lie on TV and haven't corrected the record then or since. In fact, Democrat megadonor and HNN honcho Blangiardi even wrote to a concerned Jeremiah supporter in the wake of HNN's smear job and arrogantly claimed "we were not incorrect" and "we are neither biased nor corrupt". 100% COMPLETELY FALSE : The zero integrity, dirty tricks news operation of HNN provided a platform to LoPresti to FALSELY CLAIM on LIVE TV that Hawaii courts had ruled in LoPresti's favor against Jeremiah ( while HNN anchor Steve Uehara nodded in agreement without challenge like a circus monkey for hire by the Democrat Party , rather than being an impartial, professional journalist). BIAS ALERT: Blangiardi's HNN gang knew exactly what they were doing. After all, WHO would vote for Jeremiah upon learning from the friendly morning news team that the Republican was a violent psychopath who even a judge found guilty of harassment? Uh, nobody?? LoPresti was fed the question ahead of time and allowed to lie. 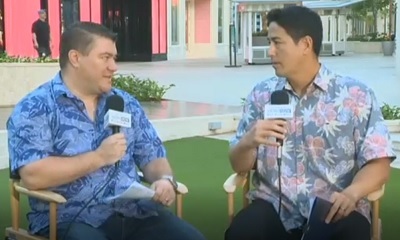 HIRA ACTION : With no time to waste, the Hawaii Republican Assembly's official SuperPAC HIRA Action jumped into action with its 'setting-the-record-straight' video already seen by thousands in Ewa Beach. HIRA Action moved quickly to prepare and promote this short video response to Ewa Beach voters via paid social media marketing channels (thanks to generous donors like you). 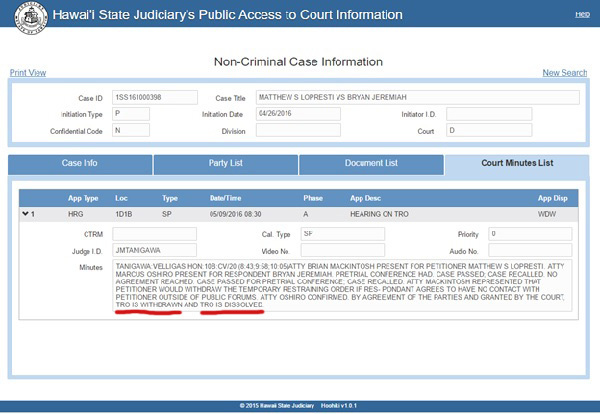 Despite the fact that LoPresti's claims -- that he was the victim of Jeremiah and that a judge threw the book at Jeremiah WERE 100% FALSE, the defamatory claims were 100% broadcast, 100% unfiltered and 100% unchallenged by HNN. The premeditated smearing of Republican Brian Jeremiah by Matt "Crazy Talker" LoPresti and his shameless Democrat buddies at HNN could not be allowed to stand. "TRO IS WITHDRAWN" AND "TRO IS DISSOLVED" are the exact words used by the court on behalf of judge Michael K. Tanigawa to describe the bogus TRO. Not at all, as HNN shamelessly broadcast to its viewers, was the case anything like the way LoPresti put it: "A judge granted a temporary restraining order against (Jeremiah)." Pure crazy talk from a desperate Democrat politician amplified by his Democrat allies at HNN. LOPRESTI'S CROOKED PATTERN : Readers of this newsletter know all about LoPresti's abuse of the criminal justice system for political purposes, such as his filing numerous frivolous and 100% dismissed complaints (at least four filed by LoPresti against Republican Jeremiah this year alone) with the State Campaign Spending Commission. Then there was the headline grabbing story of LoPresti playing dirty tricks with Jeremiah's campaign signs . When LoPresti got caught, he turned to the courts, the State Sheriff's office and the compliant Democrat-run news media with an imaginary and completely concocted story of Jeremiah chasing girly-man LoPresti through Ewa Beach on foot with threats of violence and worse . . . all of which Democrat-run Hawaii News Now was perfectly happy to let LoPresti recount for a statewide TV audience with the acting skills of a Kardashian. Well, as mentioned above, the courts dismissed LoPresti's phony case with prejudice , to say nothing of how police and prosecutors laughed off LoPresti's desperate and politically-motivated fairy tale months ago. WARNING TO OTHER REPUBLICANS : The hatchet job against Jeremiah took place LIVE on the highly-rated HNN "Sunrise" morning show. Morning show? You'd think it's all goofing around, traffic reports, endless weathercasts, story favors to PR hacks, human interest segments and viral videos. But those smiling faces of local morning TV can be just as liberal, just as vicious and just as out-to-get Republicans as the Today Show's go-for-the-jugular Katie Couric and Matt Lauer. The goal is to hurt Republicans politically and generate buzzworthy and damaging video clips that can be played throughout the day, over and over, on their network, their website, social media and elsewhere to reach as many eyeballs as possible. That's exactly what HNN did . . . and that's why HIRA Action jumped into rapid response mode. This was a HIT JOB . Make no mistake about it. 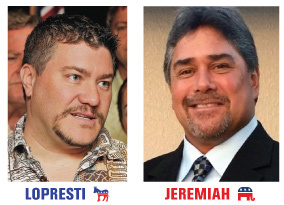 And if you don't believe it, remember that Blangiardi's Hawaii News Now partnered with fellow Democrat LoPresti just six months earlier to attempt the political assassination Republican Jeremiah over this same exact issue . . . reporting of which which HNN 'mysteriously' got completely wrong back then also; deliberately making Jeremiah again look guilty when he was actually exonerated. HAWAII GOP WEAKNESS : Frankly, HIRA Action stepped in because the useless Hawaii GOP organization can't be expected to perform 'rapid response' when it can't even perform the simplest tasks in slow-motion. Yet our party leaders know this is a key race involving a Joe Souki puppet -- one which was only narrowly lost by Republican Jeremiah in 2014. In fact, more than 50% voted against LoPresti in the last election, but disgraced Republican-turned-Libertarian candidate Tom Berg split the three-way vote two years ago. This year, it's just a two-man race to the finish. Needless to say, the Republican Party of Hawaii has done absolutely nothing to help matters. 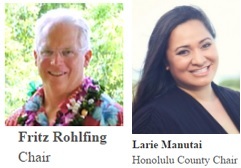 Emergency meetings of the state party and the Honolulu county party were called for by state chair Fritz Rohlfing and county chair Larie Manutai over the weekend, but then both meetings got cancelled the night before. The 'emergency' was that Team Hellreich's useless party officers let two years slide by since the last election with nothing to show for it except the 'slow-motion train wreck' of waiting to watch election returns come in on the night of November 8th and wishing the Hawaii GOP actually did something other than fritter away 24 months with nothing to show for it. Another two years down the drain while tens and tens of thousands of dollars were outrageously diverted by the local GOP away from TV and radio ads to exclusively fund 'administrative overhead'. 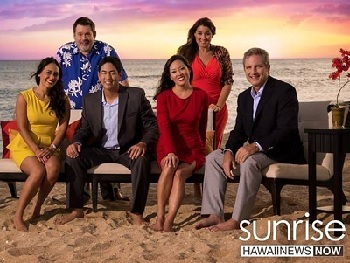 HAWAII'S NEWS MEDIA : You think it's bad on the mainland with reporters and news networks in bed with the Democrats and the Clinton campaign?!? Well, it's happening right here in Hawaii. And the Hawaii News Now smear operation against Republicans is in full swing. You could say that HNN is the official SuperPAC of the Hawaii Democratic Party. That's almost funny, because they broke a story just last week about an unregistered SuperPAC running anti-Caldwell commercials. Gosh, do you think HNN will break the story about itself operating as an unregistered attack group operating in coordination with Democrats? No, we don't think so either. But LoPresti enabler Steve Uyehara is just a pawn in the local politically-corrupted media game. 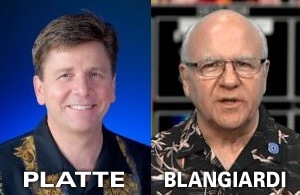 The bishop is HNN news director Mark Platte whose Democrat sympathizer pedigree includes editing the daily Honolulu BirdCageLiner newspaper, plus holding down reporting jobs at other liberal rags across the mainland. The king sympathizer would be HNN general manager, Rick Blangiardi (the same insufferable blowhard who interrupts the evening newscast to bloviate about random subjects while consistently making some truly bizarre hand gestures which might inspire HNN viewers to seek a TRO). 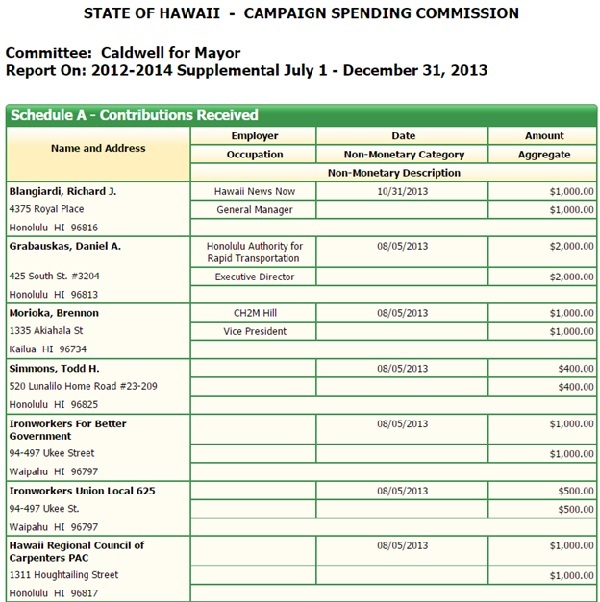 Kahala resident Blangiardi recently donated $1,000 to the Caldwell for Mayor campaign during the same recent reporting period as others from the Who's Who of Democrat Political Establishment Insiders; including HART honchos Dan Grabauskas and Brennon Morioka, liberal Civil Beat editor Todd Simmons, and the unions for the Democrat cheerleading Carpenters and the Ironworkers. Well, that explains plenty. Sources tell HIRA that while the Jeremiah campaign and its supporters were quick to protest yesterday's airing of unfiltered lies to HNN management, Platte and Blangiardi are reportedly perfectly happy with how their planned crucifixion of the GOP candidate unfolded. Sources also tell HIRA that there are no planned corrections by HNN. They want to let their disinformation on Live TV do its damage with Ewa Beach voters from now till Election Day. Finally, enjoy this video of ethically-challenged Matt LoPresti telling Ewa voters how he might be the most ethical elected official in all of Hawaii . And then think about what he has been falsely assert on TV (and around the community) about his opponent. For an extra bonus, LoPresti's former friend and former business partner (now colleague) Bob McDermott puts LoPresti in his place in the same short video clip. You deserve a good laugh after reading this Anatomy of a Smear. Thanks for taking the time to understand the battle Republicans face here in Hawaii. And mahalo for your financial support for HIRA and our official SuperPAC HIRA Action. Best wishes to all GOP candidates on the ballot in 2016. A Special Message concerning the NFRW . . .
With so many media stories attacking Donald Trump on his record with women and women's issues, the president of the National Federation of Republican Women (NFRW) issued a powerful "We stand behind the Republican ticket" press release two weeks ago affirming support of the Trump/Pence ticket. Here's the link. 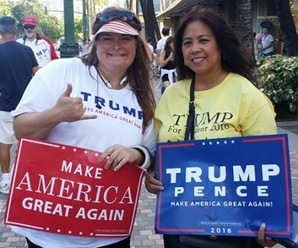 Hat tip for the press release to Rita Kama-Kimura, treasurer of the Hawaii chapter of NFRW, who remarked: "As a member of the Hawaii Federation of Republican Women, I am proud to stand with our partner the National Federation of Republican Women in our continued support of Donald Trump for President and Mike Pence as his V.P. I once heard a pastor say about a local elected official, don't look at where they came from, look at where they are today and where God is taking them tomorrow!" Well, amen to that!